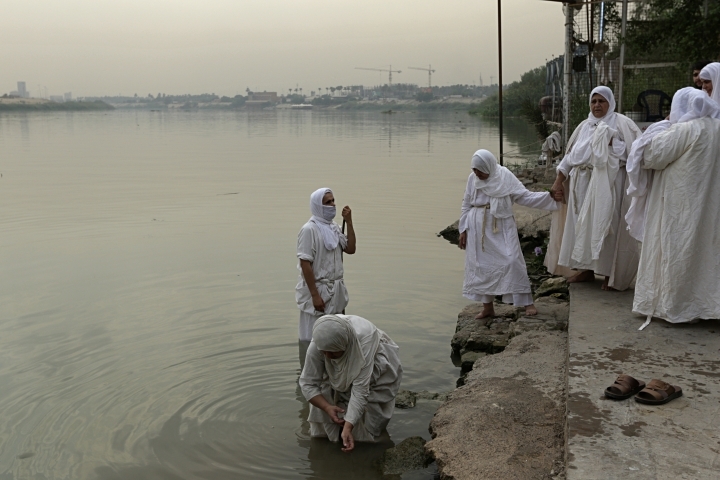 BAGHDAD — Every Sunday in Iraq, along a strip of embankment on the Tigris River reserved for followers of the obscure and ancient Mandaean faith, worshippers bathe themselves in the waters to purify their souls. 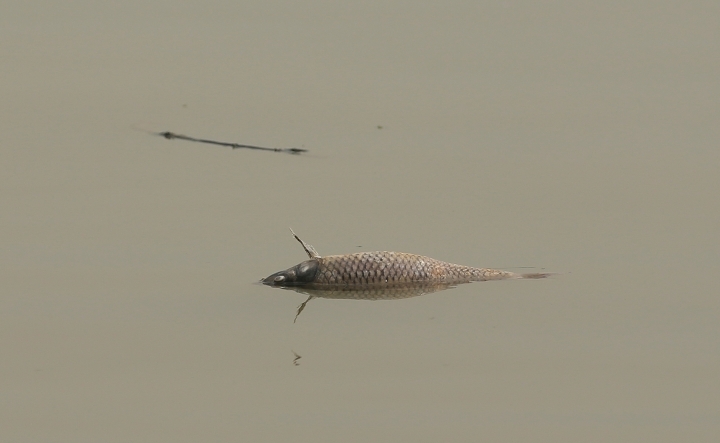 But unlike in ancient times, the storied river that runs through Baghdad is fouled by untreated sewage and dead carp, which float by in the fast-moving current. "It's very saddening. Our religious books warn us not to defile the water. There are angels watching over it," said Sheikh Satar Jabar, head of Iraq's Mandaean community. 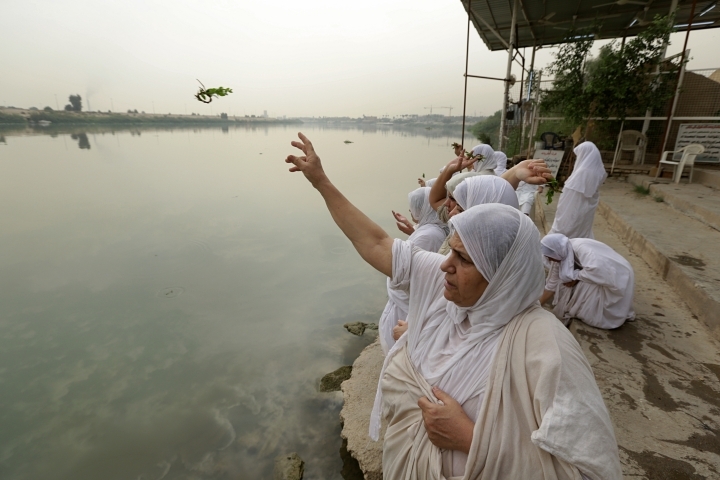 Iraq's soaring water pollution is threatening the religious rites of its tight-knit Mandaean community, already devastated by 15 years of war that has also affected the country's other minority sects. 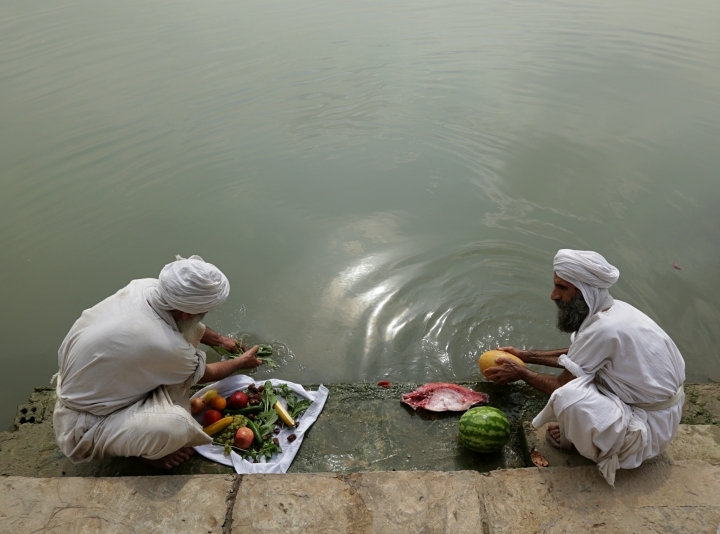 Mandaeism follows the teachings of John the Baptist, a saint in both the Christian and Islamic traditions, and its rites revolve around water. 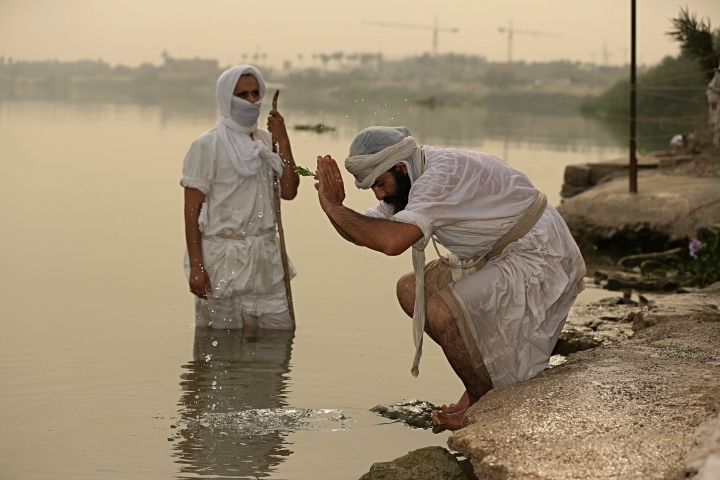 On the eastern bank of the Tigris recently, Jabar watched as a younger cleric blessed congregants in the river, then anointed them with holy oil and gave them a sacrament of bread and water on dry land. 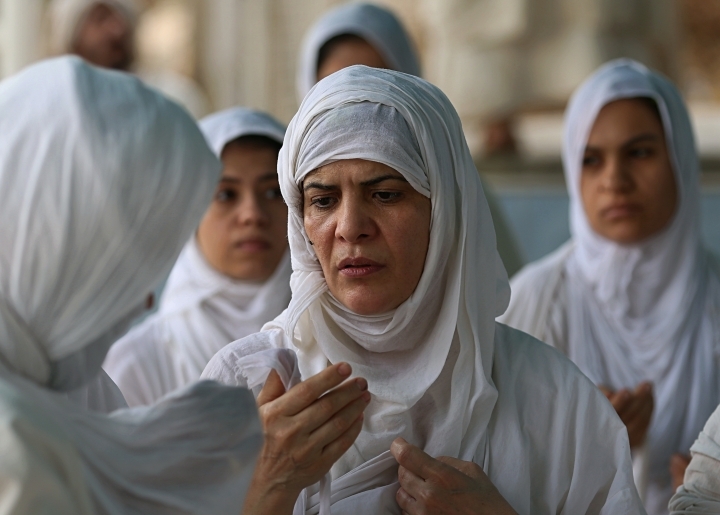 The women, shrouded in white and their hair tucked under headdresses, went into the river first, receiving their blessings in a Mandaean dialect of Jesus's native tongue, Aramaic. Then the ceremony was repeated for the men. Finally, a one-year-old child, Yuhana, received his first baptism, squirming and sputtering as his father dipped him in. 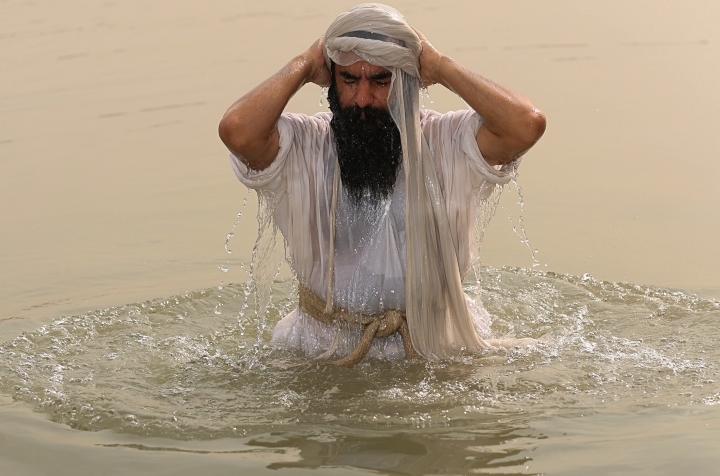 "When a Mandaean believer commits a sin or wants to ease the worries of life, he comes to the cleric to practice his religious rituals, where he must immerse himself three times in running water," said Jabar. The faith holds that only flowing water can baptize the faithful, and that it should be clear, pure and fit for human consumption. 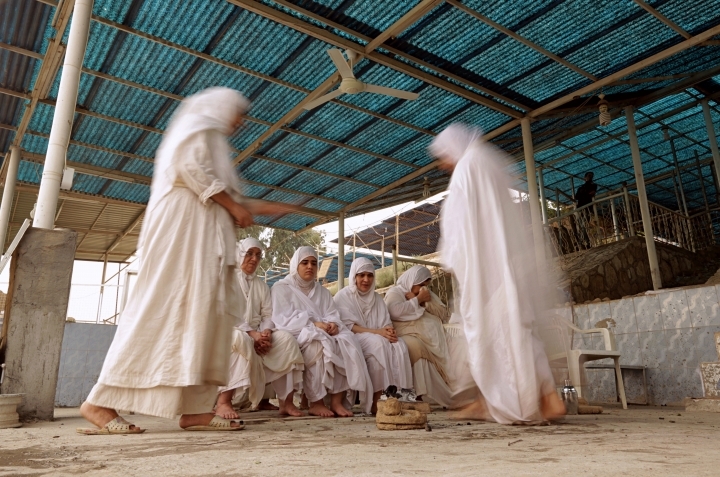 Until 2003, nearly all the world's Mandaeans lived in Iraq, but the cycles of conflict since the U.S. invasion have driven minorities out of the country for security reasons and economic opportunity. Most recently, under the Islamic State group's three-year reign in northern Iraq, the militants dynamited shrines to saints, forced Christians to pay a special head tax, and enslaved, raped and killed followers of the Yazidi faith. 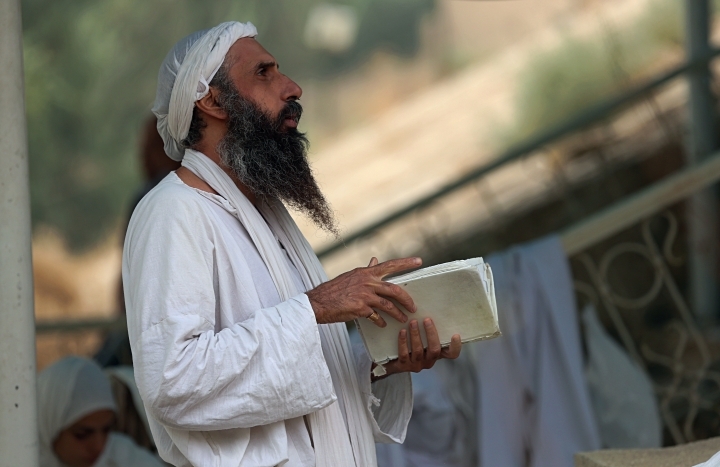 Sheikh Jabar estimates there are just 10,000 Mandaeans left in Iraq today, a fraction of what it was before. Their numbers are particularly susceptible to the toll of migration because Mandaeism does not accept converts: Worshippers must be born into the faith. The wars that drove many Mandaeans out of the country also aggravated a water crisis set in motion by deposed dictator Saddam Hussein's ecological policies. Baghdad's river today is a stew of industrial chemicals, untreated sewage and poisonous agricultural runoff, the Save the Tigris civil society campaign said in a 2018 report. And water levels are falling, owing to the changing climate and damming in neighboring Turkey, Syria and Iran. About 70 percent of Iraq's water flows from upstream countries. In the southern city of Basra, where the Tigris merges with Iraq's other fabled river, the Euphrates, riots broke out this summer over the chronic pollution and water scarcity. More than a dozen people were killed in the security crackdown. Still, the two Mesopotamian rivers mentioned in Mandaean scripture hold special significance to the faithful. Ibtisam Kareem, 45, accepted a sacrament from the cleric and drank a handful of water from the Tigris. "If you have faith in God," she said, "this water is like honey."